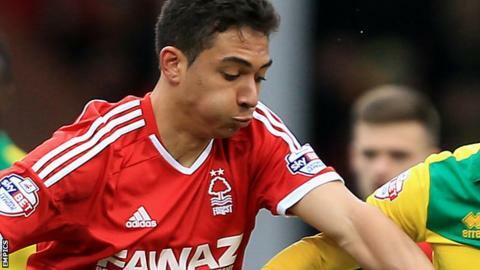 Former Nottingham Forest striker Jason Lee has said that Tyler Walker would benefit from playing alongside a strike partner. Lee, speaking to BBC Radio Nottingham, said: "Tyler could benefit from having somebody alongside him with experience. "He's scored a goal and created chances but with someone playing alongside him we might see even more from Tyler." Former Forest trainee Walker has made six appearances this season and has scored one goal in all competitions. The 18-year-old, who is the son of former England and Forest defender Des Walker, has also represented his country at under-20 level, scoring two goals on his debut at the weekend - a 5-0 win against Czech Republic.